Initially, I had some troubles getting my card to work on their website. (I talked to my bank afterwards and they said that occasionally for some reason the cards will not work with some online sites.) So I ended up mailing a check, which took a little longer since I had to wait for my check to get to them and clear first, but hey, it’s here now! I must say though that Michael at Gossamer Gear is super cool, nice and helpful. I spoke with him on the phone a few times and every time he was very friendly and helpful. Also, Grant sent me a few emails and left a voice message. What am I getting at? Customer service, and obviously great customer service. Two thumbs-up! As far as use, there are a couple of uses I have in mind for it. As a sit pad is one of them. Another is to use in the back of my REI Trail pack to provide some sort of structure. And of course as a sleeping pad. Whether or not I use it above or under my NeoAir is yet to be determined, but I believe it will function well in either place. When using on the top of my NeoAir it does not feel bulky (like a thicker foam pad may) and IMO does not take away from the comfort that the NeoAir offers. In fact I believe it may actually make the NeoAir a little more comfy. Just from laying on this combination inside (without a sleeping bag) the ThinLight pad does in fact add a little extra cushion, but not too much to make it feel abnormal or thick. Of course using the pad on top will also allow me to make the most out of the combined R-Value. As far as using the pad underneath the NeoAir, I think it will be fine, however, this is one place that a thicker foam pad would offer more protection, obviously. 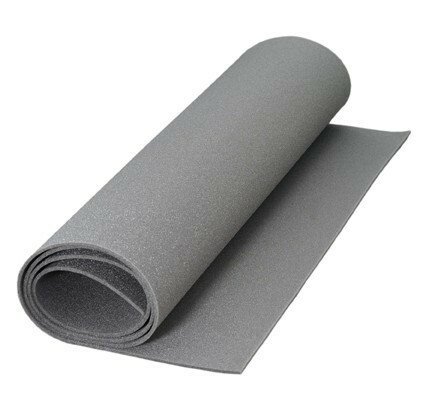 At 1/8″ any piece of foam will not offer much protection from slim pointy objects. Now, IMO, if the sharp object is just from a rock or something not necessarily slim and pointy, I believe that this pad will be just fine. One thing that I will be happy about using this pad is for when I stay in shelters. Even though the floors were pretty smooth and no visible splinters were visible, I still used a piece of Tyvek to help keep my stuff clean and “protected” but with this pad I can leave the ground sheet behind and just use the pad. Anyway, it is what it is, and that is a 1/8″ piece of foam. And while I have yet to use it in the real world, my initial impression leaves me pretty well assured of its ability to be used effectively in the applications I described above. The way I see it, this pad, like other pieces of (light-weight) gear must be used with some precaution and care must be used. If this is done then the gear should work as it was designed to. I believe the 1/8″ ThinLight pad is a prefect example of this.